Hyundai releases a sneak peek at its new concept coupe, set to debut at the Seoul Motor Show next week. There are so many auto shows happening around the world throughout the year that some are bound to overlap. So while the New York Auto Show opens at Manhattan’s Javitz Center, in South Korea they’ll be hitting the Seoul Motor Show. Along with Kia, SsangYong, GM Daewoo and Renault Samsung Motors, it’s the home show for Hyundai – Korea’s biggest automaker and one of the largest in the world. And Hyundai won’t miss the opportunity to display its latest, among them the HND-9 concept. 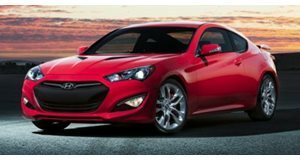 Tipped to preview the next-generation Genesis coupe, the HND-9 is so named as the ninth concept from Hyundai’s Namyang design studio, and shows the way forward for the company’s styling with sleek and taut lines punctuated by angular dynamic elements. Inside sits a 3.3-liter V6 with turbochager and direct injection to drive 362 horsepower to the rear wheels through an eight-speed automatic transmission. Stay tuned for more as the Seoul Motor Show approaches.